We deliver the best OST to MBOX Software that is better program for converting emails from offline OST file into MBOX file. Use this OST to MBOX Converter Software and convert each folders emails items of offline OST file into MBOX file along with emails, contacts, calendars, task, notes and appointments. Convert Outlook OST to MBOX File with preserve data of OST file and keeps data integrity or emails formatting. Export OST mailboxes to Thunderbird, Entourage, Eudora, Apple Mail and etc . 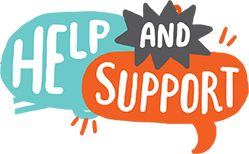 Preserve Folders Structure- It preserve all OST folders structure such as- emails, contacts, calendars, task, notes or attachments. 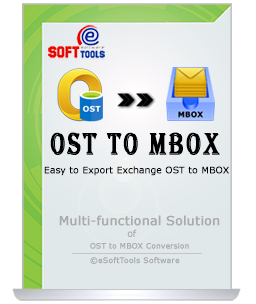 OST to MBOX Software is 100% best application which supports both corrupted and healthy Offline OST file to convert their data included emails, contacts, calendars and appointments with attachments into MBOX file that can easily open in different mail clients such as- AppleMail, Thunderbird, Entourage, Eudora, Spicebird, PocoMail, Evolution, SeaMonkey, Netscape, Opera and many more. OST to MBOX Converter Software allows convert selective folders/ emails from OST files to MBOX file with maintains all data integrity without creating any problem. This is best OST to MBOX Software that easily performs to extract OST files data included emails or attachments and convert OST to MBOX file along with all data such as- emails, contacts, calendars or attachments. OST to MBOX Converter Software is able to supports all OST emails or attachments for converting them into MBOX file that can be open in different mail clients such as- AppleMail, Thunderbird, Entourage, Eudora, Spicebird and etc..
OST to MBOX Conversion Software works with so much reliability that it never overwrite data of all selected OST file data during the conversion the software preserve its data integrity and save MBOX files with same folder structure. OST to MBOX Software easily recover all deleted folders items from OST file and convert Outlook OST to MBOX file along with emails properties and attachments. OST to MBOX Conversion performs to convert OST to MBOX. The wonderful OST to MBOX Conversion Software provides users facility to convert selective items from OST files into MBOX file along with emails or attachments. Software allows to check or un-check folder or emails for conversion. OST to MBOX Converter Software quickly generate the preview of OST file items conversion to MBOX file. It previews OST emails, contacts, calendars, task, notes and appointments. Software allows convert OST to MBOX. Have Demo Version of OST to MBOX Converter Tool - A demo version provided with the intention to solve user’s problem related to software working process, all users are capable to use the demo version and examine software conversion fast process. Demo allows save 25 emails per outlook OST folders into MBOX format at free of cost. Can I convert Outlook 2016 OST file into MBOX file using Software? Yes, the OST to MBOX Software capable to convert Outlook 2016 OST file to MBOX file along with all data. Can I Convert OST Attachments items to MBOX with Software? Can I Open converted MBOX file into Apple mail? Can I convert selective emails from offline OST file into MBOX file? Yes, using this OST to MBOX Converter Software you can convert selective emails from offline OST file with attachments items into MBOX file. Wow, we have purchased this OST to MBOX Converter Software for converting OST files to MBOX file. It let me to export the entire emails from OT files very easily into MOX file. I didn’t face any problem……. Thanks a lot.……….. I am able to convert my all OST file emails to MBOX file when I was facing errors in my Outlook OST file. I was getting error- outlook OST file access is denied. But this OST to MBOX Converter software helped me to take out my OST emails with attachments items and convert all of them into MBOX file……..Thanks a lot..